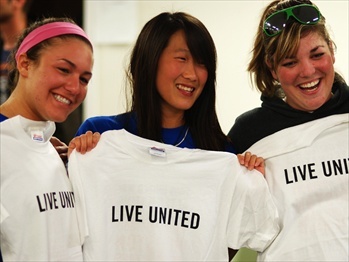 United Way advances the common good by creating opportunities for all. Our focus is on education, income, and health- the building blocks for a good quality of life. We engage people and organizations from all across the community who bring passion, expertise and resources needed to get things done. We invite everyone to be part of the change. Improve education, and cut the number of high school dropouts — 1.2 million students, every year — in half. Help people achieve financial stability, and get 1.9 million working families — half the number of lower-income families who are financially unstable — on the road to economic independence. Promote healthy lives, and increase by one-third the number of youth and adults who are healthy and avoid risky behaviors. These goals are ambitious, but with your help, and by utilizing our core strengths — a national network, committed partners and public engagement capacity — we can achieve them. © 2019 United Way of Ross County. All Rights Reserved.